You’ve watched my video review of Dice Throne and know that I’m excited about Season 2 of Dice Throne, which is launching on Kickstarter next week, February 14. Publisher Roxley has been teasing pictures of the new and improved components for the new characters, and they are jaw-droppingly gorgeous (images below). 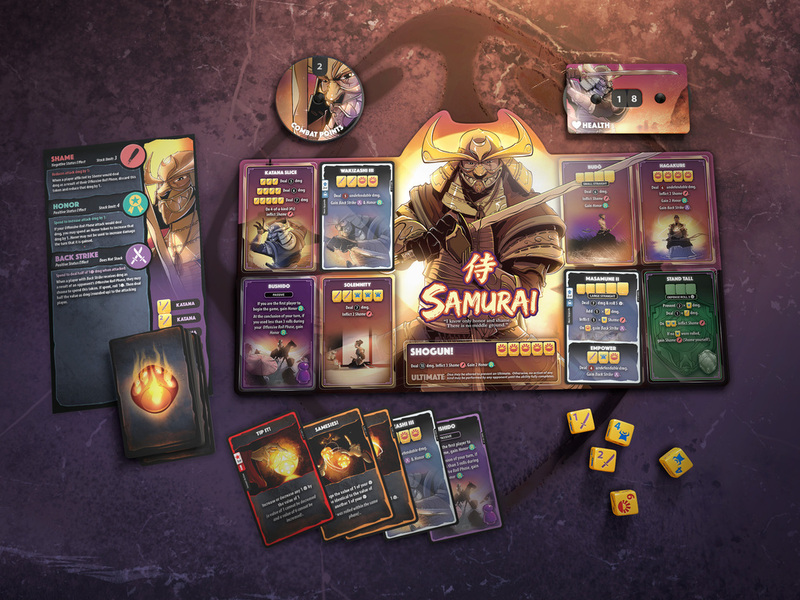 Huge new tri-fold game boards featuring the hero front and center, individual art on each ability box, color-coded dice, and artwork on all the cards. They look absolutely incredible. I’m actually worried the poor originals will look a bit dour in comparison! Season 2 will feature three two-character expansion packs, each at a lower price point then the full six-character base game, which I guess we’re calling Season 1. Technically any of those Season 2 packs are stand-alone for playing 1v1 games. 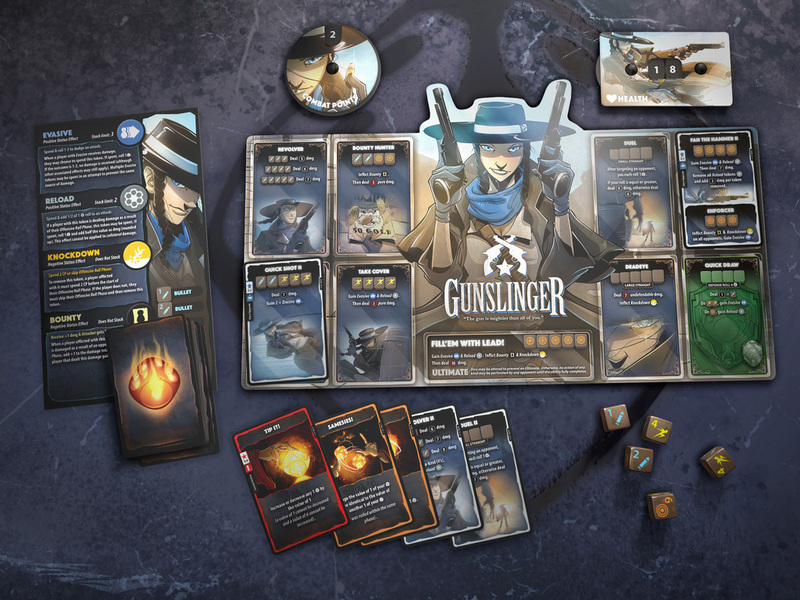 The Samurai and Gunslinger are included in the Battle 1 box. The others are Tactician/Huntress and Cursed Pirate/Artificer. Dice Throne Season 2 hits Kickstarter February 14.